Find a vacation home to rent in Valfabbrica from our list of vacation rental properties. Campaya has over 6 vacation homes available in Valfabbrica, which give you the possibility to locate a unique accommodation in Valfabbrica which completes your check-list in search for the perfect self catering vacation apartments in Valfabbrica or vacation villas in Valfabbrica. Stone-built farmhouse, set on the top of a hill (600 m a.s.l. 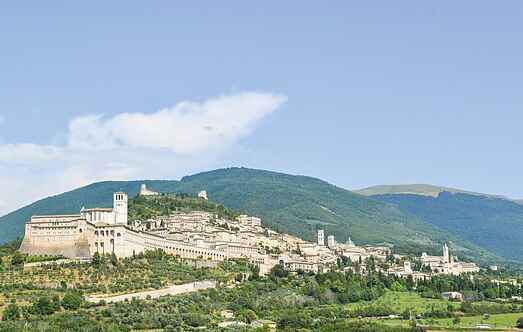 ), 22 km north of Assisi. Delightful farmhouse, formerly a hayloft, situated on the side of a hill (400 m a.s.l.) surrounded by a ilex and oak tree grove, only 3 km from the village of Pianello. From the renovation of an ancient farmhouse 2 characteristic holiday apartments have been created as well as a smaller third one, situated in a small adjacent tower. Beautiful villa with private pool located on a 20-hectare land of a farming estate in the green and gentle Umbrian hills in the area of Valfabbrica, only 23 km from Assisi ' the town of St.